The evolution of Troy has always been emblematic, it has always been such a good product that now leaves us an inheritance, the Troy HD Legacy. A product that has evolved without losing its true essence! The Troy HD Legacy was created with special attention to its formal beauty, with an aesthetic and meticulous design down to the last detail. Do more with a high performance device! 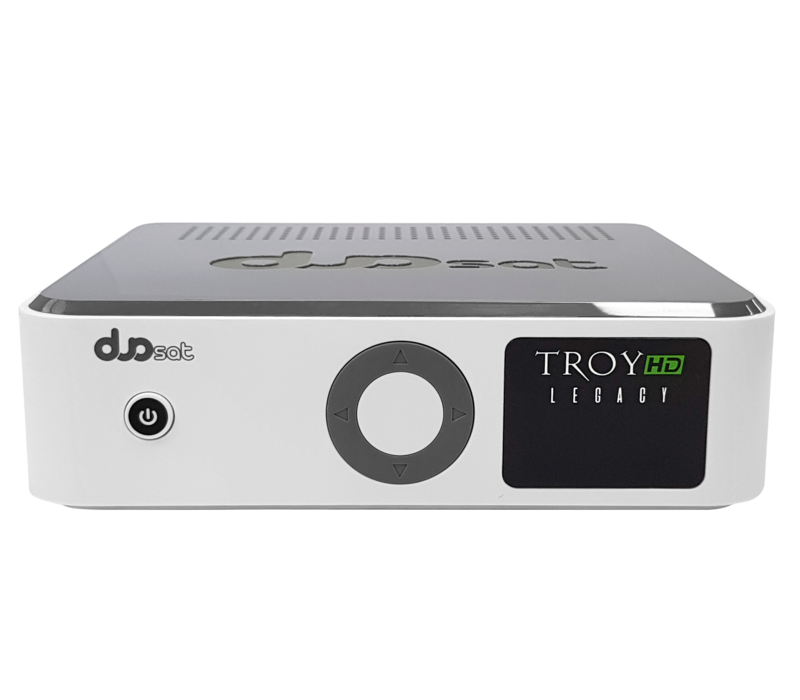 It does not matter if you are watching movies, watching videos or recording your favorite program, you can multitask, the Troy HD Legacy works fast and without problems thanks to its processor that makes things go smoothly. If you have been looking for content to enjoy on your 3D TV, the Troy HD Legacy will fill your expectations with a truly immersive experience. If a picture is worth a thousand words, living an experience from within, totally in first person, has no comparison! The Full HD 1080p resolution offers amazing quality and clarity in the video and film industry, and all kinds of digital content. With it you will have access to all types of high definition content, not only those that come through the satellite, but all content that can be accessed from other sources such as the Internet, YouTube and other storage devices. Network development optimized to achieve a higher performance of the various Streaming applications already available, in addition to the Duosat applications that you already know and the best platforms such as YouTube, Dailymotion among others. Type: External Adaptor, 12V DC 2A 50/60Hz.